Anyone who has an email, social media page, or a bank account knows the purpose and meaning of passwords. This secret sequence of characters is usually used to get access to a place, service, document, etc. You can password-protect PDFs or folders, set access passwords for Gmail accounts, etc. And since everyone puts a high-price on privacy, having a strong password is very important. The more types of characters and symbols you use when generating a password, the less chances someone has to crack it. However, it's best you enter a memorable password as in some cases the process of recovering forgotten passwords is difficult or even impossible. In this guide, I will show you how to generate, manage, and recover passwords on your Windows PC. So, this article might prove to be of good use if you plan on changing your Google password, creating a strong Facebook password, recovering your forgotten Steam password, etc. There are various ways of creating passwords for your new accounts. 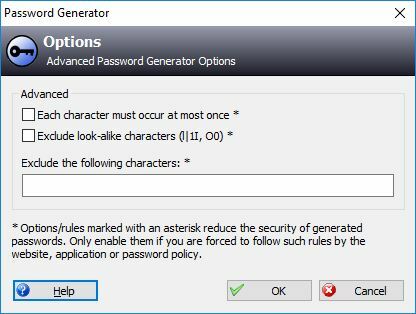 You can either enter your own secret sequence of characters, or you can use a specialized Windows utility or an online service to generate your passwords (for example, you can use Norton's password generator tool). No matter which method you choose, it's best you generate an easy-to-remember and pronounceable password that should also be not-so-simple to crack. 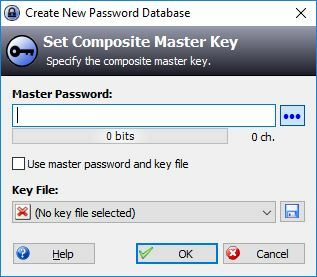 Here I will show you how to use KeePass built-in tool to generate memorable passwords. 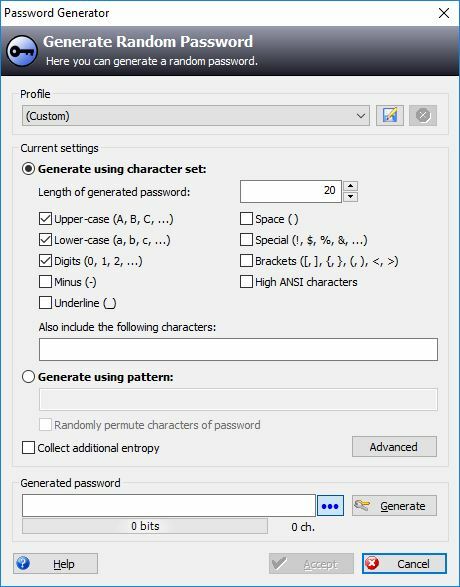 KeePass features one of the best password generator software on the market as it gives you access to a wide range of settings to help you get the exact type of strong password you need. Launch the app on your PC. Go to Tools -> Password Generator (you can also hit the Ctrl+Z keys to access the Password Generator tool). Configure the tool's settings according to your needs. Click the "Generate" button. Click the "Accept" button if you're happy with the results. Optional: The random password generator also gives you access to several advanced settings. These options might come in handy when creating new accounts or changing passwords on certain websites. For example, a new Gmail password cannot contain sequences of characters that are identical to the ones from your previous password. In the Advanced Settings window, you can choose which characters to be excluded from the password generation process. If you're like me, you created a wide variety of online accounts over the years. Remembering all of my passwords is sometimes difficult, especially if I don't use the accounts in question often. The best way to keep passwords organized is by using a password manager. 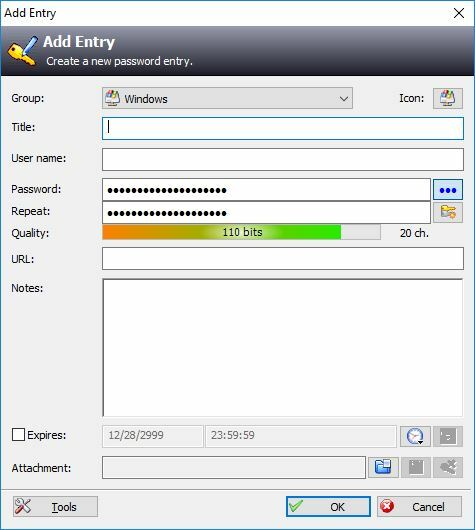 KeePass is one of the best password managers on the market as it provides you with effective solutions for keeping passwords safe and far away from prying eyes. As I said before, this open source password manager also features a built-in password generator which might prove to be of good use when creating new email or social media accounts on your Windows PC. Launch the app. Create a new database to keep track of passwords. You can do that by going to File -> New. Enter a master password which you will use whenever you will try to access the contents of your new database. Click the fourth button from the main toolbar of the app to start creating a new account record. Enter the necessary information and use the built-in password generator if needed. Click the "OK" button. The record will immediately be added to your database. Save database. Optional: Go to File -> Database Settings if you're looking for advanced encryption options for your database. You can use powerful encryption technology to make sure no one can keep track of passwords without your permission. At some point, anyone who owns multiple email and social media accounts can easily forget their passwords. Fortunately, there are various solutions for finding the passwords that were used on your computer. You can use specialized password recovery tools for restoring the needed info (to retrieve passwords used on your computer for opening a document or log into your Windows account), access the browser's records (to find passwords stored in browser's records), etc. Open Chrome's main menu and go to Options -> Security. Click the "Saved Logins" button and select the "Show Passwords" button. View saved passwords in Chrome. Until recently, you were able to recover lost Chrome passwords directly from File Explorer. 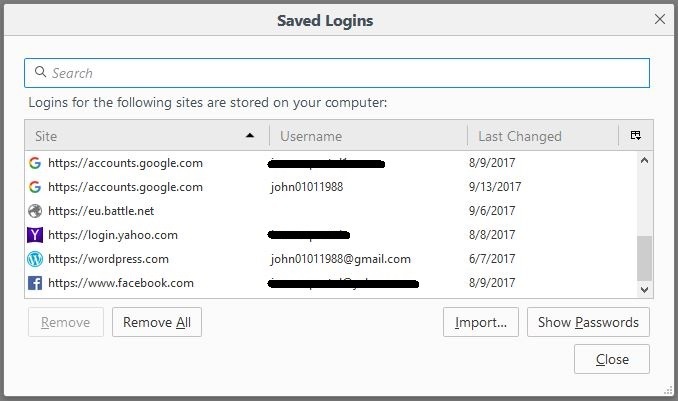 Your saved passwords were stored in a file called “Login Data” in Google Chrome's App Data directory. All you needed to do was to use Windows' default search tool to find the location of Google Chrome's saved passwords file, open the document, and get access to the info you needed. It was very simple. Sadly, this method doesn't work anymore as Google Chrome now encrypts the password data file. Another solution for viewing saved passwords in Chrome that's still available is the one where all you needed to do was to paste "chrome://settings/passwords" in the address bar of your browser. Still, there's no guarantee that you will find all of the passwords which were entered on the computer, especially if they were used when encrypting with a powerful algorithm. If your password recovery tool fails to provide you with any results, the best thing you can do is to contact the support team of the service or website in question. Clearly, it's very simple to create and manage passwords on your Windows PC. As for recovering lost passwords, the process might take a while and prove to be quite annoying, especially if you end up contacting support teams for assistance. So, my advice to you is to make sure you create a strong, yet easy-to-remember, passwords and store them in a safe place.